We started up in 2013 when charlotte left British gas after 7 years service. She started up as gas girl limited – a gas engineer based in Egham, surrey and working the surrey Berkshire and middlesex areas carrying out boiler servicing, boiler repairs and maintenance on gas appliances. In 2014 Stewart joined forces with charlotte after 14 years service at British gas. Our trading name then changed to Hardy Heating. With Stewart on board we are now able to offer a wide range of work, including general plumbing, boiler installations and powerflushing. 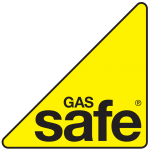 We have 21 years of experience in the gas industry. As such, we have handled almost every kind of job imaginable. We operate around the Addlestone, Egham, Staines, Lightwater, Chertsey, Weybridge and Woking areas. If you live within 10 miles of these areas, give us a call! It’s important to regularly service your boiler, just as you would service your car. It helps us to identify and fix small issues before they become major problems. Do you do emergency call out's? We sure do! If your heating goes off late into the evening, do you really want to wait until the next morning to call an engineer. We sure wouldn’t! Call us any time.